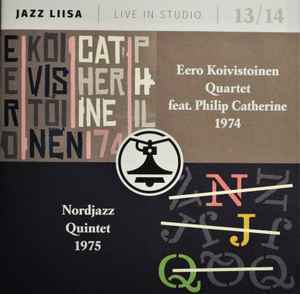 Recorded live at Liisankatu Studios, Helsinki, Finland. Live broadcast on Channel 2, Wednesday, September 18th, 1974, 8 pm to 8.40 pm. Produced by Yle. Hosted by Matti Poijärvi. Live broadcast on Channel 2, Wednesday, March 19th, 1975, 8 pm to 8.40 pm. Produced by Yle. Hosted by Matti Konttinen. On cd: Copyright Yle 2016. On back cover: Copyright Yle 2017. Standard jewel case with clear tray.